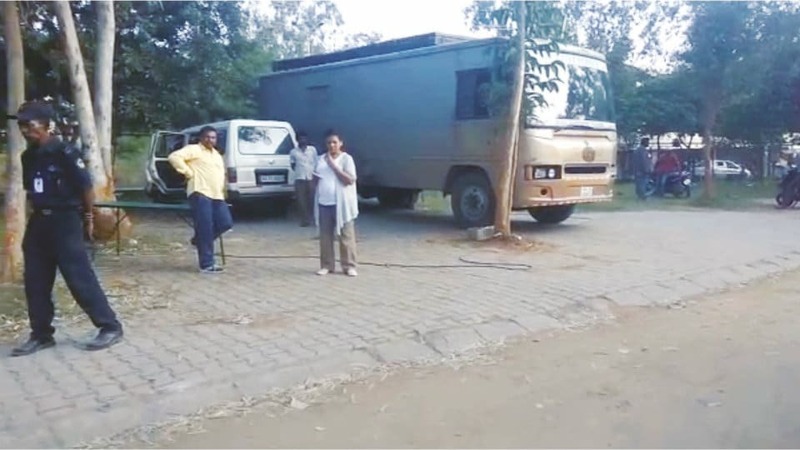 Mysuru: Environmental activists have taken objection to the University of Mysore’s (UoM) move to allow day-long film and ad shooting at the Kukkarahalli Lake and that too at this time of the year when the breeding season for the birds has started. The Lake is maintained by the UoM and it is its custodian. A group of environmental activists called Star of Mysore yesterday and provided photographs of a private company film crew shooting at the Lake. The crew had come with a couple of vehicles, huge lighting and sound systems and were filming the Lake for an entire day. “Kukkarahalli Lake is already polluted and threatened by unbridled development and sewage entry. Many aquatic and bird species are dying there. In such a scenario, how can the University authorities allow film shooting here,” questioned green groups. The Lake is home for many rare bird species that have been mentioned in the International Union for Conservation of Nature (IUCN) Red List of Threatened Species (also known as the IUCN Red List or Red Data List.) “Now is the time for the birds to breed and they are very sensitive to sound and light. This disturbance will drive them away. Sadly the University authorities who are supposed to protect the Lake and its species don’t know about this,” they said. The environmentalists questioned that when morning walkers are driven out of the Lake after 10 am, how the University could allow film shooting. UoM Registrar D. Bharathi, however, told SOM that the crew was shooting only an ad and had the required permission to do so. “Yes, we had permitted the crew to shoot the advertisement from 10 am to 4 pm,” she said. The Registrar added that the University has been giving permission for such shoots.